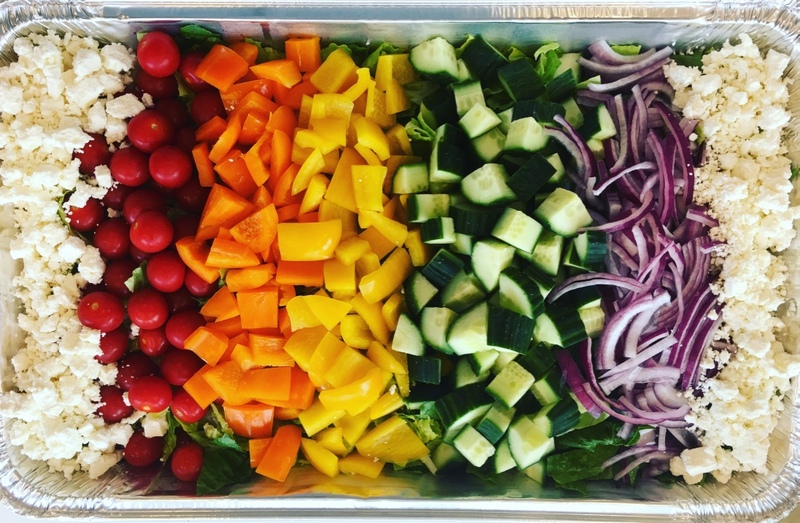 You can toss all the ingredients together, or line up the veggies Roy G. Biv style. Either way, this salad is delicious. Whisk vinegar, lemon juice, oregano, rosemary, mint, salt and pepper in a large bowl. Gradually add olive oil, whisking to combine. Alternately, combine all the ingredients in a jar with a lid and shake. Assemble salad and serve dressing on the side. 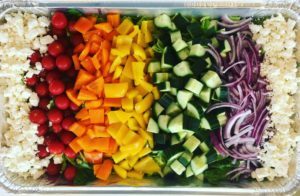 Copyright © 2017 Our Everyday Dinners - This is an easy recipe for how to make Rainbow Salad with Greek Dressing.